Give a card to that student who overcame the fear of presenting in front of the class or to that kid in class who was failing but is now passing. Slip the card to that student who you saw helping out someone in need or to a student who is making a difference in an extra curricular activity. The cards are general enough that they can be accommodated to so many situations! 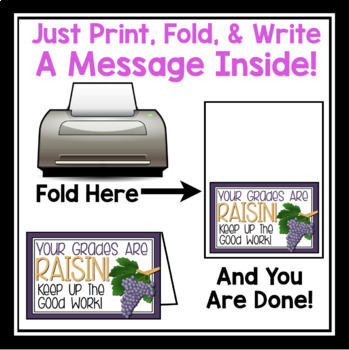 All you have to do is print, fold, and write a personalized message inside. I can guarantee that the student will be so surprised and it will help build a stronger relationship. Two versions of the cards are included. One has the color bleed to the edges of the paper and the other does not. This is for easy printing with any printer (as some cut off the edges, and others do not). ♥ Super Cute! 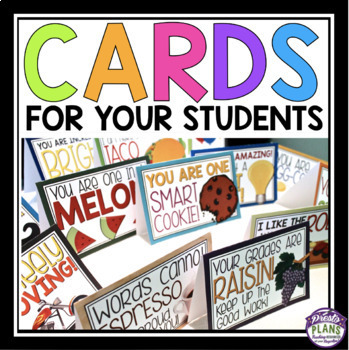 Great way to build relationships with students. ♥ I can't wait to start using these! My students are going to love them. 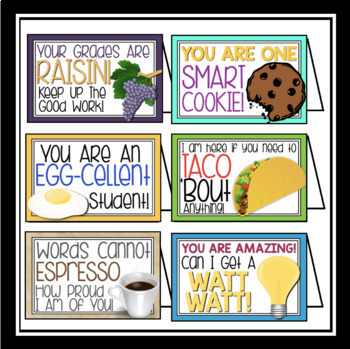 ♥ These are so cute and I can't wait to use them as a positive reinforcement as I get to know my students.